Low-flow fixtures can be an easy way to reduce water consumption and help lower your monthly utility bills. Why choose this type of fixture for your home? Easy, they work and it's the law. In 1992 the Natural Energy Policy Act mandated that all newly manufactured faucet fixtures restrict the flow of water to 2.5 gallons of water (or less) per minute at 80 pounds of water pressure per square inch. So what does this mean? New faucet fixtures use less water, saving money and energy. The great thing about low-flow is that your using less water and you don't even realize it. Most fixtures provide the same great service without compensating performance. When taking a shower, we consume a lot of hot water. Some older fixtures use approximately 5-6 gallons of water per minute. Now, todays newer model shower heads use as little as 2 gallons per minute. That's a substantial difference. If you consider a family of 4, taking around 4 showers a day, the water saved from a low-flow shower head can really add up. 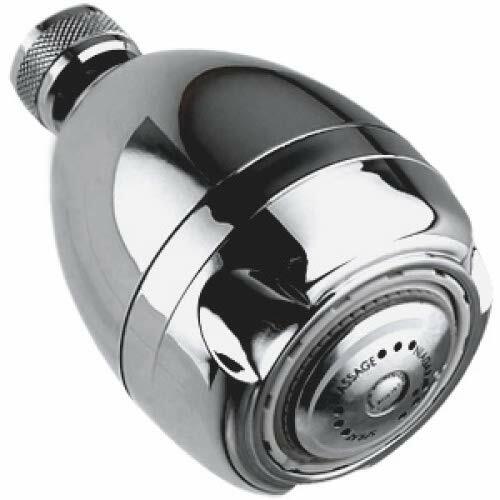 Low-flow shower heads come in two basic styles, Laminar-flow and aerating. Laminar-flow shower heads use small streams of water to conserve water and are known for providing a more accurate temperature control. Aerating shower heads mix air into the water forming a misty type spray. Aerating shower heads are known to create added moisture and humidity which may create problems in a humid climate. Low-flow toilets are designed to use 1.6 gallons of water per flush. This is nearly half as much water consumption as older toilets that use around 3.5 gallons. Most low-flow toilets use a wider drain to allow clear passage without clogging. Now, many models have a liquid or solid wast option, giving you the opportunity to use a half flush for liquid waste. Why Change To Low-Flow Fixtures? Changing the fixtures in your home to low-flow will not only save you money, it helps the environment. As the world turns "greener" water consumption has become a focal point. The good news about water reduction is that the fixtures are relatively easy to install. Most faucet fixtures or aerators simply require the removal of the old fixture and screwing on the new one. Installing a low-flow toilet can be more involved and depending on your plumbing experience, a qualified plumber may be required.